Home / Insurance / The Show Must Go On! People in Hong Kong love to have fun. Sat at the crossroads of Eastern and Western culture, celebrations are a common occurrence. You can be sure than in some corner of this bustling city, there is some wedding, sporting event, concert, golf tournament, gala, and charity dinner or business functions being held as you’re reading this. If you’re tasked with organizing these events, you know there’s a lot that goes into planning. You have to worry about things like the venue, the invitations, the DJ, the food, and the seating arrangements. With all these balls in the air, it’s not surprising that things go wrong from time to time. Whether you’re a business or a private individual throwing an event, you want to make sure it’s memorable for all the right reasons. On top of good event planning and preparation, purchasing an Event Insurance policy, sometimes called Event Liability insurance, is a must. As a host, you generally have the legal duty to ensure the safety of your guests – this is doubly true if liquor is involved. On top of that, most venues will require you to have Event Insurance in place before allowing you to rent the space. 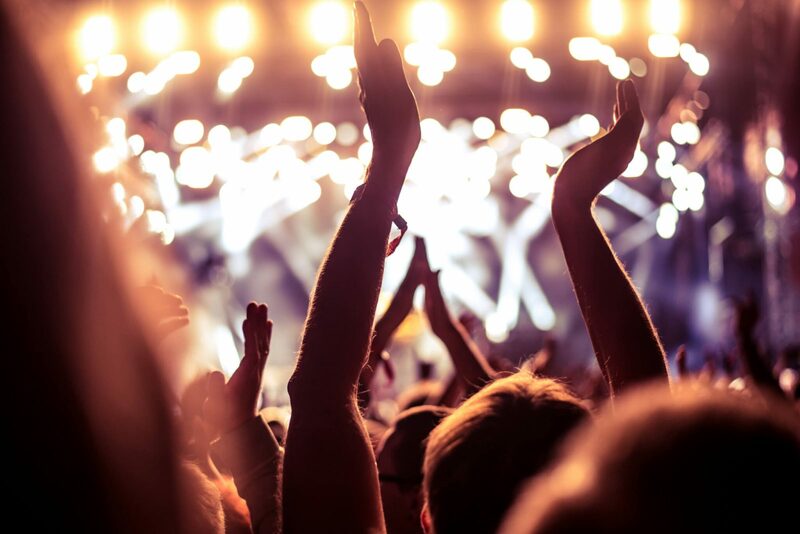 Event insurance is a type of liability policy that protects event hosts against any lawsuits alleging bodily injury, property damage, reputational damage, and other financial risks that might arise out of events or parties held by the insured. On top of any court awarded settlements, the insurance company will also pay for your defense costs and other supplementary costs involved in your legal defense. Due to the specialized and infrequent nature of this type of risk, it’s not covered by your Public Liability policy (CGL) and so Event Insurance was created to fill that gap. Event Cancellation Insurance – if your event is cancelled for reasons beyond your control, this coverage will reimburse you for any non-refundable pre-paid expenses. Forced Loss of Audience Insurance – if something prevents audiences from getting to your venue (i.e. riot, severe weather or a breakdown in your ticketing software) they’ll likely demand a refund. In this case, your policy will contribute. Wedding Dress and Gifts Insurance – wedding dresses are expensive. If your bride’s wedding dress or wedding gifts get damaged by an insured peril, this coverage will kick in and reimburse you. Non-Appearance Insurance – if you have a key person (i.e. a headlining performer) who is unable to attend the event due to illness, injury, illegal detention or death, you might need to cancel or postpone the event. If this happens, your Event Insurance will pay all related costs. How do I Buy Event Insurance? Every insurance company has slightly different coverage options depending on your specific needs so the first thing you should do is talk to your insurance broker. They will be able to recommend the right coverage for you based on what you’re planning. Often times, your venue might also stipulate that you carry a minimum amount of liability insurance as well. When purchasing Event Insurance, you’ll need to let the insurance company know some details of your event such as the number of attendees, location, the activities involved, and time, date and duration of your event. Most Event Insurance policies must be purchased separately for each event. Aside from making sure you have Event Insurance in place, there are other things you can do to help you manage risk from an event. Simple things could be to ensure you have a first-aid station on site or have the appropriate signage to direct people to an emergency exit in case of a fire or evacuation. If you’re serving liquor, you can hire a licensed 3rd party company to provide that service. Not only will you be able to shift your liquor liability onto them, they are trained to make sure your guests don’t get too intoxicated and end up hurting themselves or someone else. On that same token, you also might want to consider setting up a valet or shuttle service to make sure people get home safe, especially if they’ve consumed a large amount of alcohol. With the proper combination of risk management and Event Insurance, you’ll be full protected and be able to enjoy your event worry free. For a quick quote on your Event Insurance or for more risk management tips and strategies, contact a Trusted Union insurance adviser today.